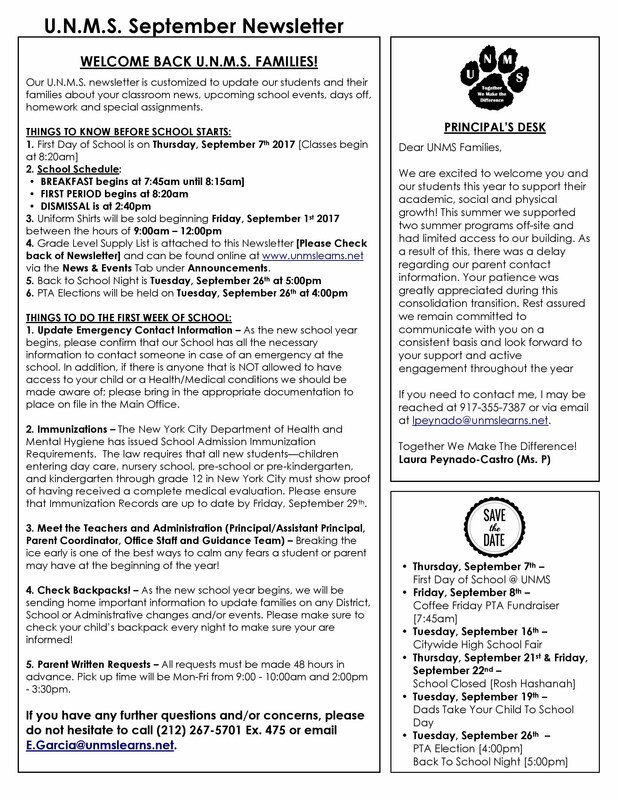 Below is our current Newsletter for the month of September detailing all of the need to know items before the start of school and during the first week of school. Please read our newsletter carefully and if you have any questions and/or concerns, contact me at 212-267-5701 or email via e.garcia@unmslearns.net. SEE YOU ALL IN SEPTEMBER! AND AT UNIVERSITY NEIGHBORHOOD MIDDLE SCHOOL, TOGETHER WE MAKE THE DIFFERENCE!! !